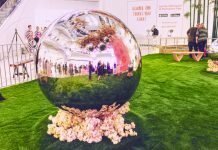 If for any reason you’ve ever googled Vancouver Mom Bloggers, I can almost guarantee that Vancouvermom.ca’s post for whichever year shows up as the 1st link. Currently 2015 Top 30 Vancouver Mom Bloggers comes up as the 1st link for me. When I first contemplated starting a blog almost a year ago now, first thing I did was google ” Vancouver Mom Bloggers” and every variation of to see what their websites looked like, what they were blogging about and what it was about these bloggers that made them top of their game in the blogging world. These moms from 2014 and 2013 had set the stage for me to create a blog that I thought would set the stage for the something amazing! I didn’t know that this would turn into something, for everything that it has turned into, I owe to you. Thank you! Being honest, I published my 1st article in June 2014 and I didn’t share it at all, I wrote it for myself. My 1st official post was titled “No Mommy I can do it myself!” and it was then published on June 23. 2014. I hope you’re all ready for another wonderful year! 2014/2015 brought me a spot with Urban Baby & Toddler Magazine as a Mommy Ambassador, name as a Top Mom Blogger with Chatterblock.com. 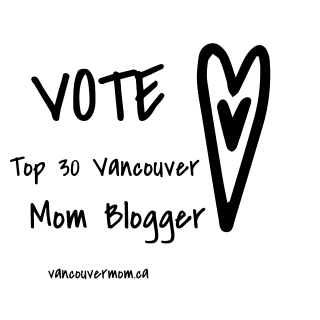 and now a nomination as one of the 2015 Top 30 Vancouver Mom Blogger. Wow…. Thank you Again! Creating a place that’s safe for everyone to say what you feel, ask your questions, and laugh with other mom’s was a goal I had once I knew people were reading! I moved to Vancouver in 2006 and felt very lonely! I was on bed-rest with Ava from September 2008 until she was born. Then being a first time mom with no friends with children in Vancouver, it became lonelier. I had post partum depression, it hurt and I was lonely! With my second pregnancy, I needed it to be different. 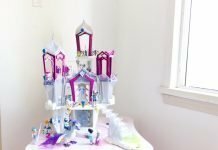 I wanted to enjoy this, and I didn’t want to be lonely, so if I could connect with a few of you to make it less lonely, a blog I would start! Now there are 29 other wonderful Mommy Bloggers that have been nominated and they are voting to see who is your favorite. While it’s an honor to be included amongst these ladies, I can’t say that I would love to be named the Top Vancouver Mom Blogger. Would you, could you spare me a moment and give a little love? You may choose up to three of your favourite bloggers. You may vote once each week, during the three weeks of voting. The winner will be announced Friday, June 5th, 2015. Thank you Thank you Thank you! You all mean the world to me! Previous articleHow Did You Choose Me As Your Baby? 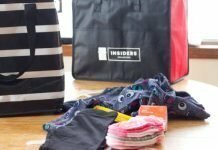 Next articleCustomer Service- A Mother Scorned!